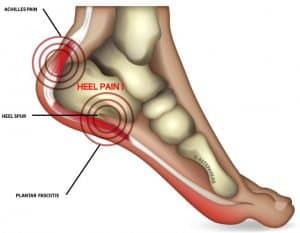 Heel pain affects over 2 Million people every year, so at some time or other in our lives, it’s likely that we will suffer from this horrible condition. Heel pain can also be remarkably difficult to treat with many suffering with this for long periods. Some patients will try to “go it alone”, whilst others who seek professional advice may still discover they don’t find the relief they had hoped for! Sadly, this is often due to misdiagnosis and therefore the wrong treatment advice. Use our guide to help you gauge if it’s time to seek treatment or after answering some simple questions it may head you towards simple resources to get you back to happy healthy and active!